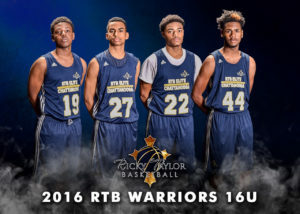 The Ricky Taylor Basketball AAU program won a total of 9 Super 64 Showcase tournaments in the history of the program! 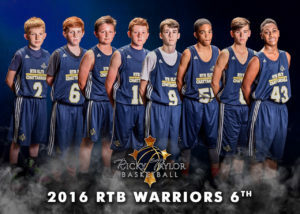 The RTB AAU Program is composed of boys and girls in grades K-12 within the Chattanooga and North Georgia areas. Our teams play in NCAA Certified events and other local tournaments in the city of Chattanooga. We are an NCAA Official Scouting Service and serve as an Official NCAA Operator for top level teams to participate in our tournaments. 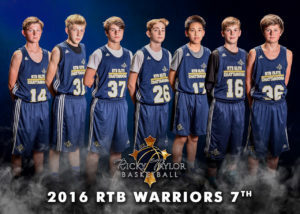 The primary focus of the RTB AAU program is for players to increase their faith in Jesus Christ. Additionally, our AAU program focuses on developing players to reach their full potential not only on the court but also in the classroom. We have an experienced coaching staff who cares about each player that joins the program. 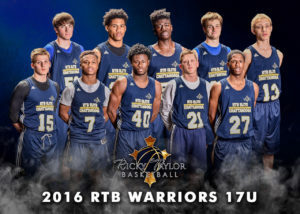 Joining the RTB AAU Program is easy! 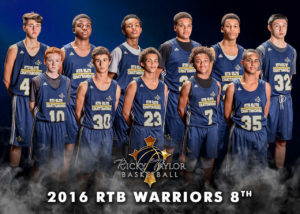 Upon making an RTB Team, players will register on our AAU membership page here AAU Membership. Ricky Taylor AAU tryouts will be on the following dates. All tryouts will be held at Notre Dame High School, 2701 Vermont Avenue, Chattanooga, TN. The adminstrative staff will contact parents and players individually to see if your child made the team so please be sure that you submit the right contact information. We will be accepting payments onsite on Saturday, March 2, 2019 @11am at Notre Dame High School. Our first practice will start on Tuesday, March 5, 2019. Practices are on Tuesdays and Thursdays. Middle school will start practice at 5pm and high school will start at 7pm. Grades K-5 practice times TBA.